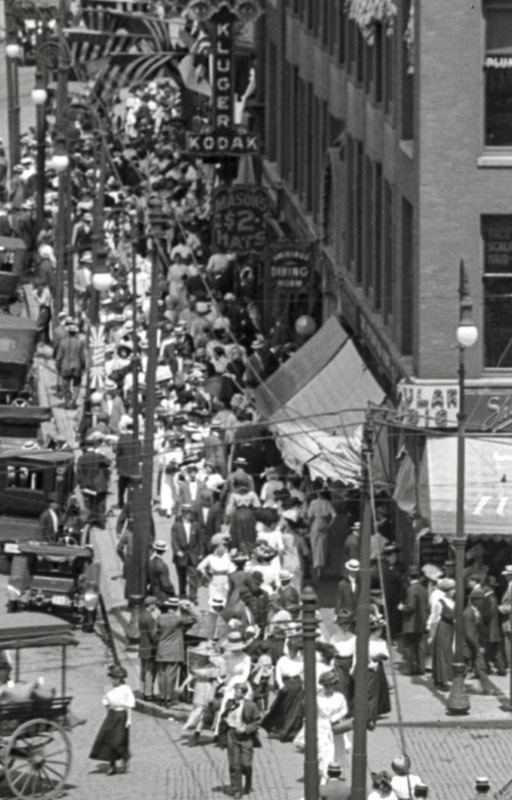 Cleveland circa 1908. "The Public Square -- Soldiers' and Sailors' Monument. Panorama made from two 8x10 inch glass negatives. View full size. Submitted by davidk on Wed, 04/10/2019 - 10:29am. What is going on in that second block up on the right? The sidewalk is crammed with people! Am I seeing this correctly? Submitted by Vexman on Wed, 04/10/2019 - 4:58am. 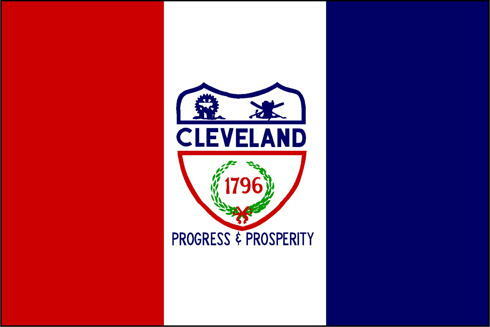 The lower flag on the pole just left of center is the Cleveland City Flag, adopted in 1896. Submitted by archfan on Wed, 04/10/2019 - 12:00am. The GWS Mission (lower right) is run by the Gospel Worker Society. The society published nondenominational fundamental Christian literature, and set up missions in "gospel-neglected towns". They moved their headquarters to Cleveland in 1907, and changed their name to the Union Gospel Press in 1922. They are still publishing; they specialize in Sunday School lessons. Submitted by jay4jet on Tue, 04/09/2019 - 8:33pm. Where are all the Zombies with their smartphones?